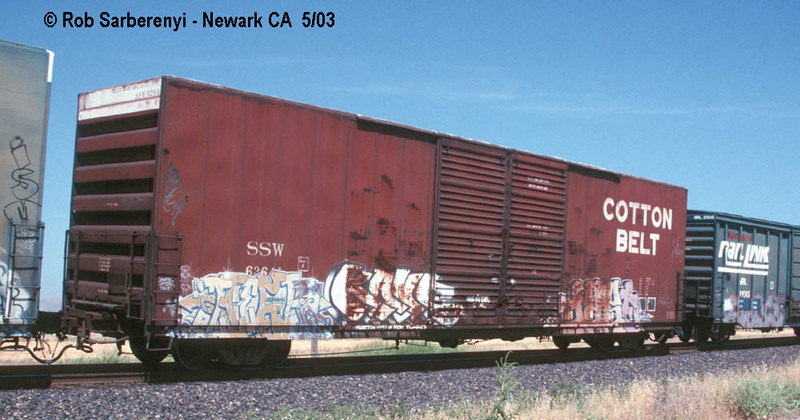 These 60'-10" hi-cube box cars were all built by FMC in 1977. 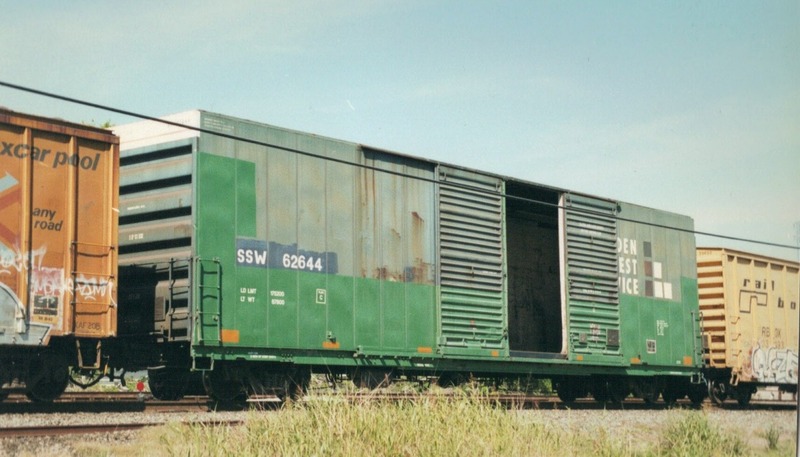 They featured 7468 ft3 capacity, Freight Saver underframes and a 16'-0" door opening. 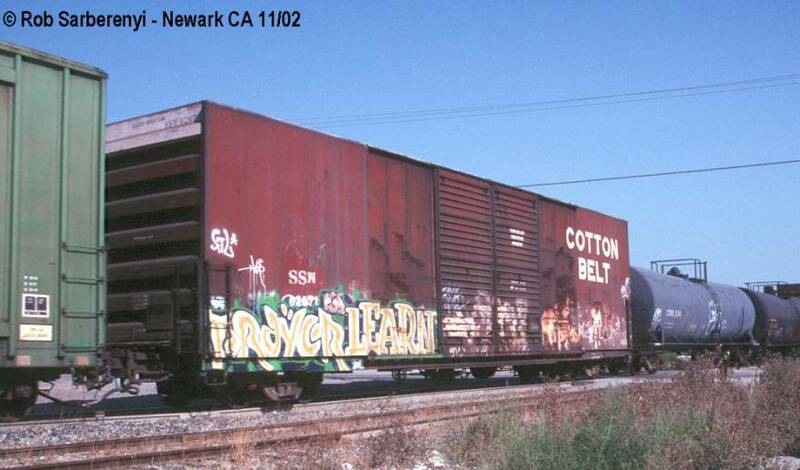 Many of these cars were re-painted and re-lettered as Golden West Service cars. 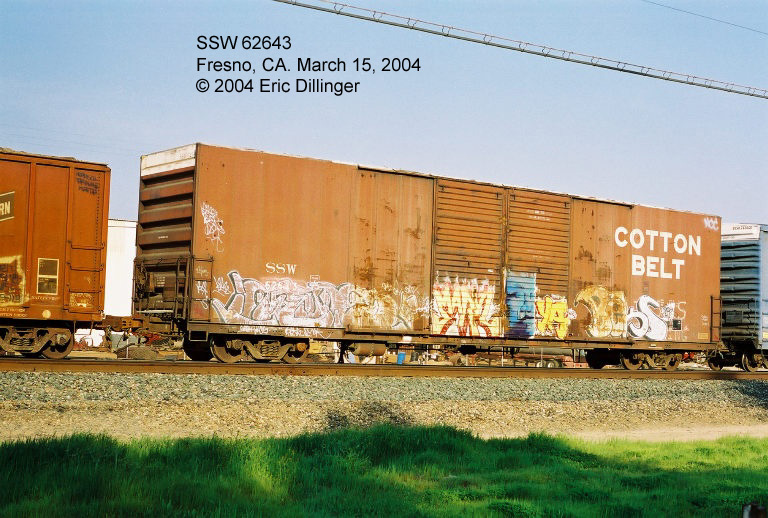 Note also that some B-70-42 cars were upgraded to 100 ton capacity and lettered for Golden West Service. 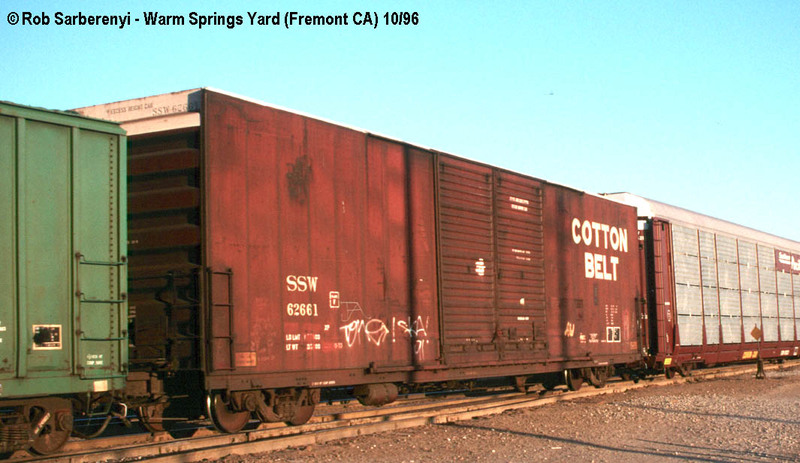 They were assigned to Golden West class B-100-42, which conflicted with this group of SP class B-100-42 cars. retouching. It'll disappear once proper weathering is applied. 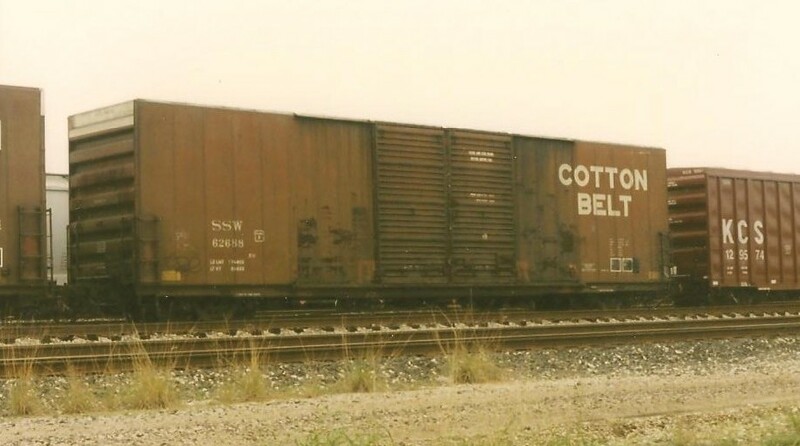 same model in Golden West colors. See also:Golden West Service Cars Page.